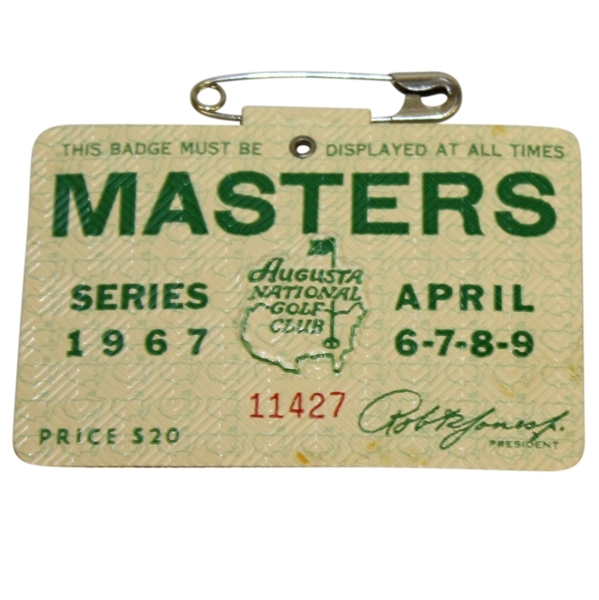 Here we have 1967 Masters Tournament series badge #11427. 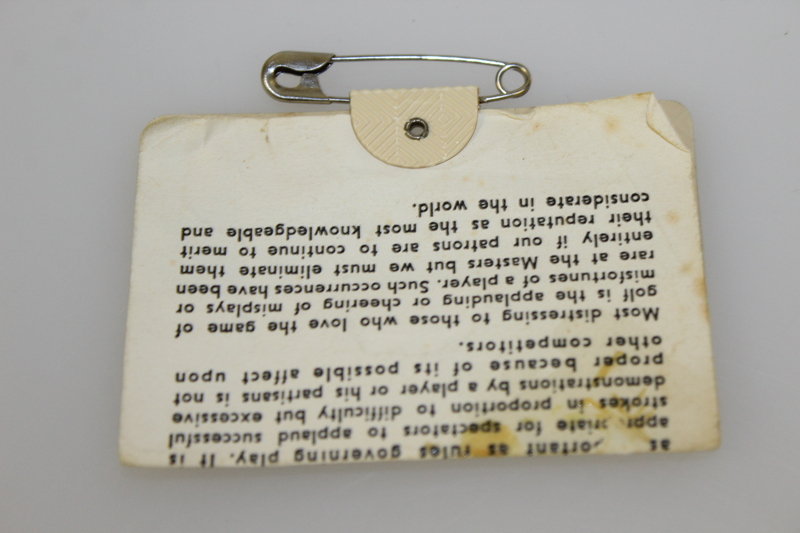 The badge comes in good condition with the original pin intact and showing just a few small stains, please see photographs. Gay Brewer birdied the 13th, 14th and 15th holes on Sunday to defeat Bobby Nichols by one stroke at the 1967 Masters Tournament.